Home Tags Posts tagged with "trum kim meeting"
Three American detainees, who were released by North Korea earlier, have been welcomed home by President Trump. President Trump said it was a “special night for these really great people” as they arrived at the Andrews Air Force Base near Washington. According to the White House, Kim Hak-song, Tony Kim and Kim Dong-chul had been freed as a gesture of goodwill ahead of the planned meeting between President Trump and North Korean leader Kim Jong-un. President Trump said he thought the summit would be “a big success”. The date and location have been decided but not yet announced. President Donald Trump and First Lady Melania Trump entered the plane after it landed at about 02:45 local time and a few minutes later emerged with the three men to wave to the media. The president said he appreciated that Kim Jong-un had allowed the men to leave as “frankly we didn’t think that was going to happen before the meeting”. Asked if this was his proudest achievement, President Trump said that would be “when we denuclearize that entire peninsula”. He said he hoped he could travel to North Korea one day and that he believed Kim Jong-un wanted to bring his country “into the real world”. The three men were smiling and waving and appeared in good health. Kim Hak-song, Tony Kim and Kim Dong-chul had released an earlier statement saying: “We would like to express our deep appreciation to the United States government, President Trump, Secretary [of State Mike] Pompeo and the people of the United States for bringing us home. The three men had been jailed for anti-state activities and placed in labor camps. Their release came during a visit to North Korea by Mike Pompeo to arrange details of the meeting between President Trump and Kim Jong-un. 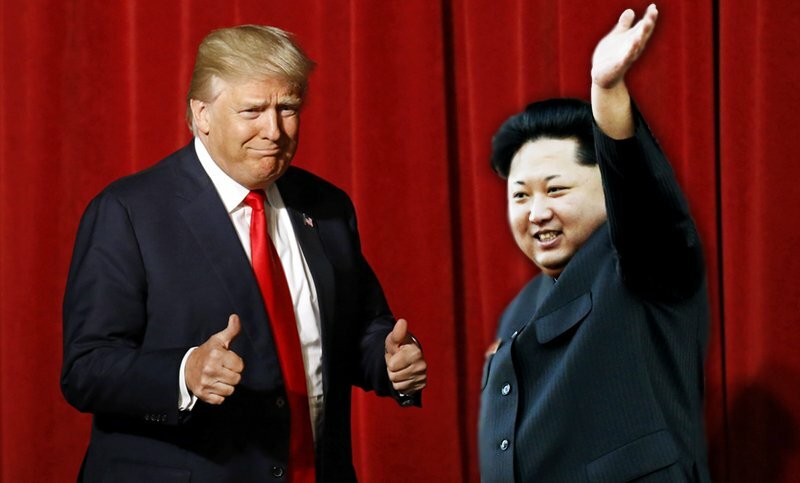 According to the North Korean state news agency KCNA, Kim Jong-un said he had accepted a US proposal to grant the three detainees an amnesty, adding that his meeting with President Trump would be an “excellent first step” towards improving the situation on the Korean peninsula.